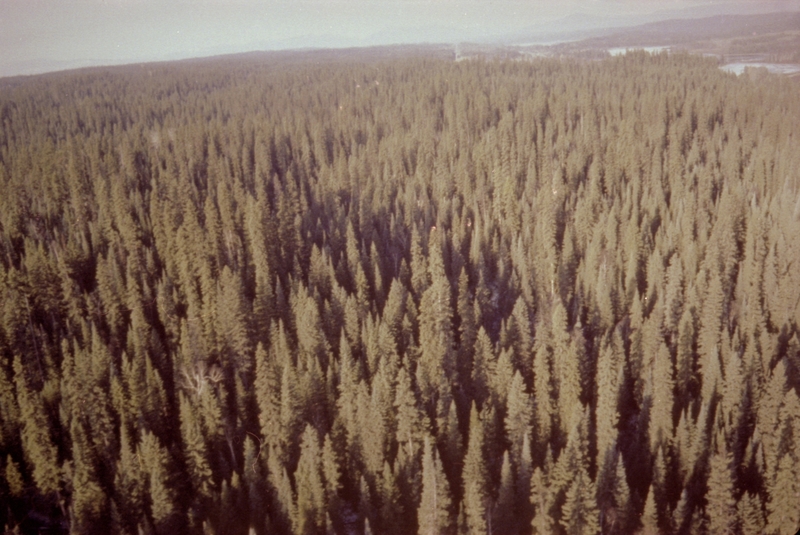 Photograph shows an aerial view of Aleza Lake Research Forest in spring season. Photograph is digitized and available in TIFF and JPG formats. Select the thumbnail image above to see a high resolution digital reproduction of the photograph.